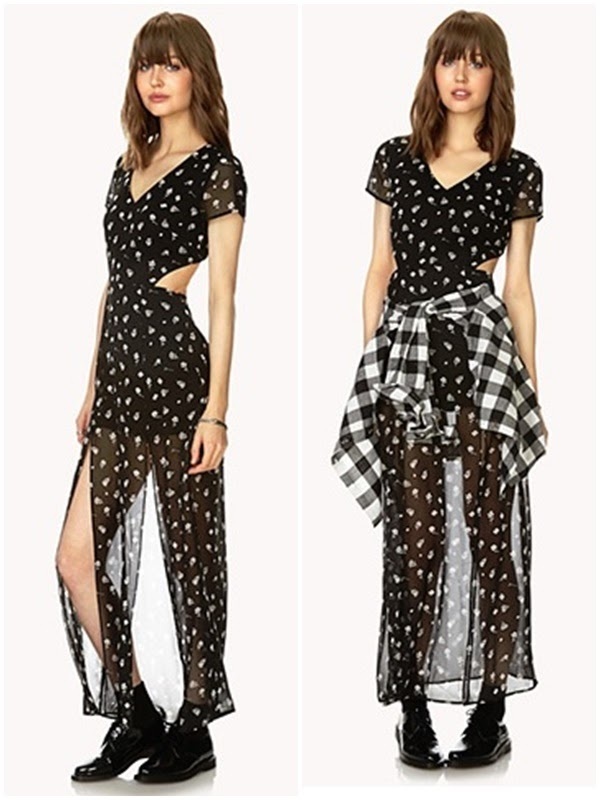 So while I was bored at work on Tuesday I was on the Canadian website for Forever 21 and found two dresses that I like and might consider getting. I'm going to check them out at the store on Friday after I get off work. ^___^ But you see, the things that I like seem to only come in one colour which is black and I want to get more brighter colour dresses for spring/summer. =( I actually just bought a black long maxi dress from Forver 21 two weeks ago, lol. The only reason I want to get these two dresses is because I don't have any in my closet that is in this style otherwise I'd have just pass on getting them.